The Colrain Manuscript Intensive is a very small (maximum 8), select, highly focused, three-and- a-half-day conference designed for the evaluation and discussion of book-length (or chapbook-length) manuscripts by editors and publishers. The intensive is open only to those who have attended a previous Colrain conference and/or those whose manuscript is close to publication (semi-finalist, finalist or publisher feedback). We also consider those with previous book/chapbook publication. The intensive features in-depth pre-conference work and candid, realistic evaluation and feedback from decision-makers. In preparation, participants will work on pre-conference assignments and then in the workshop to review, arrange, and winnow their collections based on the pre-conference work. In addition to the manuscript preparation workshop and editor consultation, there will be editorial Q&A, and after-conference strategy session. The Intensive also includes a pre-conference manuscript reading and separate consultation with Joan Houlihan. Located in the rural town of Greenfield in western Massachusetts, the Brandt House is a 16-room New England estate located on the crest of a hill in a quiet neighborhood of stately Victorian homes boasting views of the Berkshire Mountains and set amidst three and one-half acres of lawns surrounded by gardens. This elegant manor has beautiful, original woodwork and personally selected furnishings and decor, spacious and sunny sitting areas, and fireplaces in the living room, library and many bedrooms. Meals are served in the light-filled dining room with dinner out on the town one night. Please note that we will make all reservations and arrangements for conference participants. Directions and other details will be sent to all registrants along with the pre-conference materials. Work with renowned poet-editor-educators Peter Covino and Joan Houlihan. Peter Covino is one of the founding editors of Barrow Street Press,a not-for-profit press connected to the nationally known journal, Barrow Street. The press publishes poetry collections through its annual contest and through solicitations. Poet, translator, and editor Peter Covino is also associate professor of English and Creative Writing at the University of Rhode Island. He is the author of the poetry collections, The Right Place to Jump (2012), recently featured on NPR, the Huffington Post and The Rumpus, winner of the Paterson Poetry Prize for Literary Excellence; and Cut Off the Ears of Winter (2005) both from W. Michigan University Press, New Issues. Additional prizes include the 2007 PEN American/ Osterweil Award for emerging poets and the Frank O’Hara Poetry Prize for his chapbook, Straight Boyfriend (2001). Recent poems appeared in such places as the American Poetry Review, Colorado Review, Gulf Coast, The Journal, Interim, LIT, The Paris Review, The Yale Review, and The Penguin Anthology of Italian-American Writing, among others. Joan Houlihan is the author of five books of poetry, most recently Shadow-feast (Four Way Books). Her other books are: The Us, named a “must-read” book of 2009 by Massachusetts Center for the Book, Ay, a sequel to The Us (both from Tupelo Press), The Mending Worm, winner of the Green Rose Award from New Issues Press, and Hand-Held Executions: Poems & Essays. 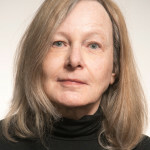 In addition to publishing in a wide array of leading journals, including Poetry, Boston Review, Harvard Review, Gulf Coast, and most recently, Plume, Massachusetts Review and Ocean State Review, she has served as consulting editor and reviewer at a series of online magazines, most recently, Contemporary Poetry Review, and as Associate Editor at Tupelo Quarterly. Her critical essays are archived online at bostoncomment.com. 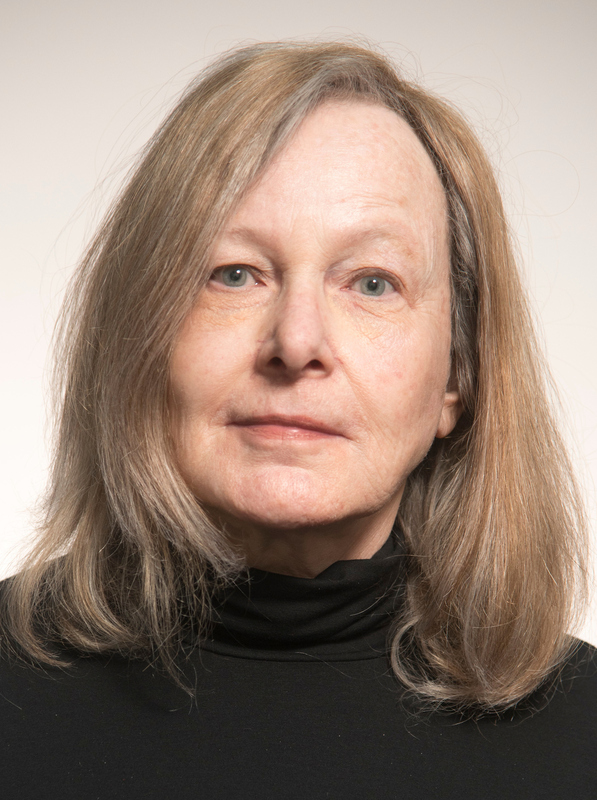 Her work has been anthologized in The Iowa Anthology of New American Poetries (University of Iowa Press) and The Book of Irish-American Poetry–Eighteenth Century to Present (University of Notre Dame Press). She has served as judge for numerous poetry awards and contests including the Louise Bogan Prize for Poetry (Trio House Press), the Jane Kenyon Award for Poetry (New Hampshire Literary Awards), and Massachusetts Center for the Book Award, among others. She has taught at Columbia University, Emerson College and Smith College and currently serves on the faculty of Lesley University’s Low-Residency MFA in Creative Writing Program in Cambridge, Massachusetts. She is also Professor of Practice in Poetry at Clark University in Worcester, Massachusetts. Houlihan founded and directs the Colrain Poetry Manuscript Conference. Plan to arrive on Friday, January 18, between 4 and 6 pm. Dinner is at 7 pm, after which introductions and preparation for the next day take place. The conference will begin at 9 am on Saturday and last till 11 am on Monday. All conference fees, workshop tuition, and materials. 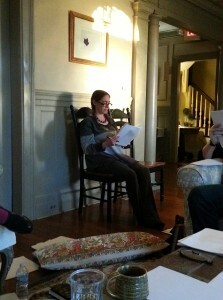 Pre-conference reading of the manuscript and individual consultation with Joan Houlihan. Breakfast, lunch snacks and beverages on all days, and two dinners* (contact us regarding any special needs). *We will have one dinner out at a local restaurant. The Brandt House is located on 29 Highland Avenue in Greenfield, Massachusetts. The best place to arrive for flight transportation is Hartford’s Bradley International Airport. That airport is about an hour away. There is a shuttle service straight from the airport to the Brandt House. It is called Valley Transporter and is in Amherst, MA. (413) 253-1350. You must make arrangements directly with them for the pick up at either plane, train or bus station, and please do so several days in advance. Make sure and send us your ETA. And don’t forget to arrange for a return shuttle on the final day of the conference, preferably 2 PM or later. Trains now arrive at Greenfield (within walking distance of the Brandt). See the Amtrak web site for schedules and rates. If you don’t want to take a train, there are also buses directly to Greenfield from some places. See the Greyhound Bus website for details. NOTE: From NYC it takes about 5 hours by bus to Greenfield.